Leidos is a science and technology solutions leader working to address some of the world's toughest challenges in national security, health, and engineering. The Company's 19,000 employees support vital missions for our government and the commercial sector, develop innovative solutions to drive better outcomes, and defend our Nation's digital and physical infrastructure from ''new world'' threats. 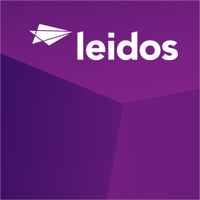 Leidos is headquartered in Reston, Va. and had approximately $5.06 billion in revenues for fiscal year 2015.